Netflix really is a wonder, the best about it is that there are ways to watch its content on just about everything, whether that be a computer, a smartphone, a tablet or even a smart television. Game consoles do Netflix too. And the Apple TV. And… well, you get the point. But if you’ve used the desktop Web interface recently, then you will have noticed one problem with Netflix that stems from its mobile roots, and that’s the way it scrolls lists. Designed for a finger, users with mice find themselves waving their pointers around like crazy people and it’s just not the kind of thing a gentleman should be doing. It’s just unwieldy. Thankfully, developer Renan Cakirerk agrees and has created his very own browser bookmarklet that takes the annoying scrollable lists and turns them into something that belongs on a computer screen. Namely, a big tile-based collection of cover art to choose from. 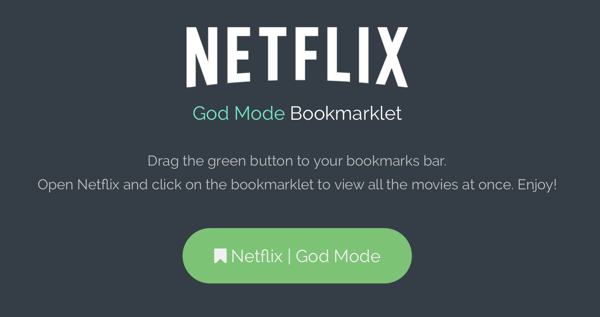 Now we are under little doubt that someone at Netflix is already beavering away at a way to stop such a bookmarklet from working and alas, it’s only a matter of time before we are waving mouse pointers around our screens again. But until that dark, dark time is once again upon us, rejoice in the fact that someone fought the good fight and won. If only for a short while. Let us join together and hope Netflix isn’t watching. Long live browser bookmarklets! 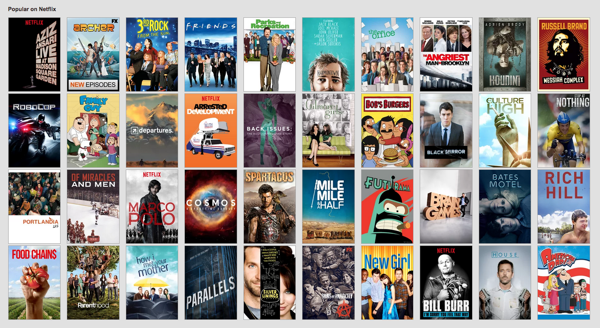 And Netflix, if you’re reading this: if you must kill this sort of thing off, at least sort your UI out. You can add the bookmarklet by going here. Check this image out. It contains a better site and has newer movies and you can use it in every device from gaming consoles, mobile devices, TVs, Mac and PC. Check this image out. I shows you a cooler better site that everyone is going to and has newer movies and you can use it in every device from gaming consoles, mobile devices, TVs, Mac and PC.